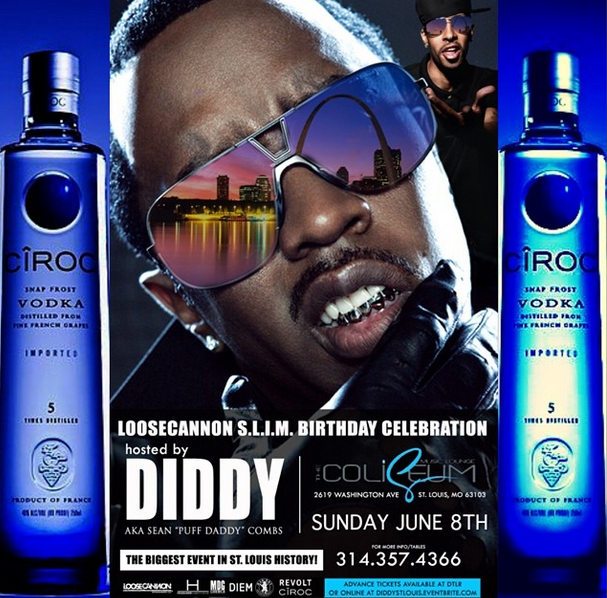 Sean Combs, aka Diddy, will be in St.Louis June 8th for S.L.I.M Loose Cannon birthday celebration. Check out the event flyer above. Do you have an event you would love my readers to know about. Hit the CONTACT BUTTON now and send me details including link to an event flyer. *please note: As much as I try to, I cannot post all event I receive. I mainly post events suited for my demographics.